When is the correct time to clean and re-oil your hardwood deck? It seems like the answer to this question should be simple enough. You clean and re-oil your hardwood deck when it starts to look faded. But you also have to take into account the season and the type of maintenance you’ve been doing. Spring and fall are the best seasons to do deck maintenance. Caring for your deck in the spring fixes any winter damage and gets it looking beautiful for summer. Doing your maintenance during the fall will help your deck survive the harsh winter storms. It’s also important to train your eye to notice subtle changes in your decking. On a day-to-day basis it’s difficult to notice gradual deterioration. It’s a good idea to take periodical pictures of your deck so you can compare them and spot changes over time. 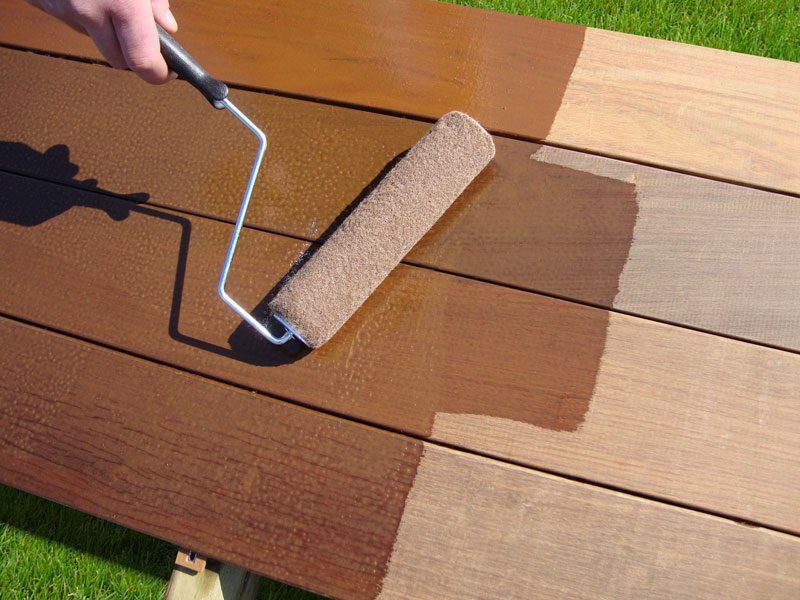 Once you see your deck looking worse for wear it’s time to clean and re-oil. Speaking of the actual cleaning and re-oiling, take into account the state of your deck. If you’ve been keeping up with your regular maintenance like sweeping and mopping, you can probably get away with the easy route: just use a cleaner and brightener solution and finish it off with oil. But if your deck’s been neglected, you may have to pressure wash and sand it to restore its former glory. Leave a comment if you have any questions, or give us a call at 1-877-232-3915. This entry was posted in Decking Maintenance, Do-It-Yourself, News and tagged clean decking, Deck Maintenance, maintenance deck, reoiling ipe, season for deck cleaning on February 4, 2016 by Mr. Ipe Hardwood. what product do you reccomend for cleaning and brightening between reoliing your deck?